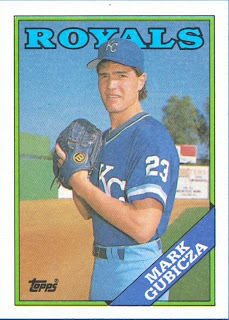 This is the second in a series dedicated to the everything people do not focus on when looking at a baseball card. Therefore, this new series is aptly named Background Noise. Since the last time we left this new feature, I was diligently going through my 1988 Topps. During that foray, I found another Background Noise gem. While it does not reach the same pinnacle as the infamous Billy Ripken 89 Fleer card, this one does lend itself to similar pastures. In this new background addiction, I having been paying close attention to billboards. 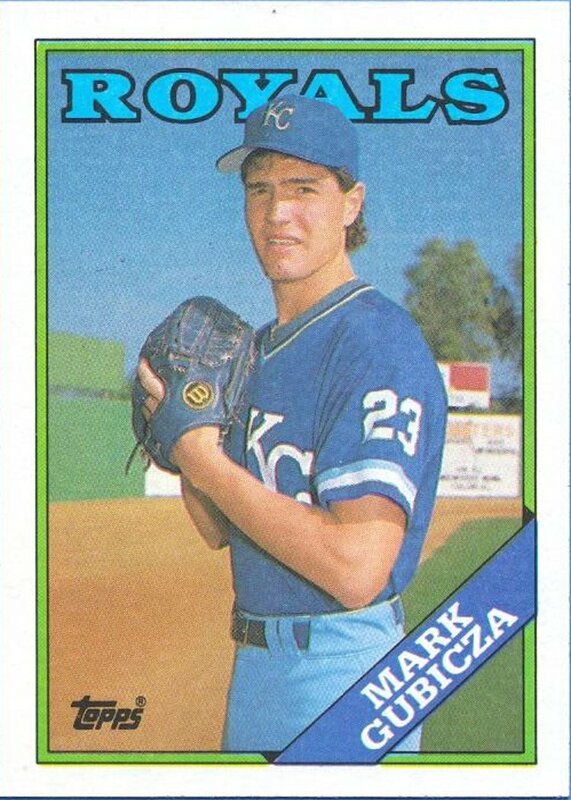 Look just to right of Mr. Gubicza's left arm. I would venture to say this is the only baseball card with the word Hooter's scrawled across the background. The 12 year old in me giggles. Tee-hee. I tried to figure out which Hooter's this sign was for, but the Royals are in their road uniforms, so it would almost be impossible to figure out the stadium locale. If anyone can figure it out, post a comment! Baseball City Stadium? Or one of the other Citrus League facilities? I don't think it's a regular season MLB facility and I've seen my fair share of Topps photographers at spring training games here in AZ.